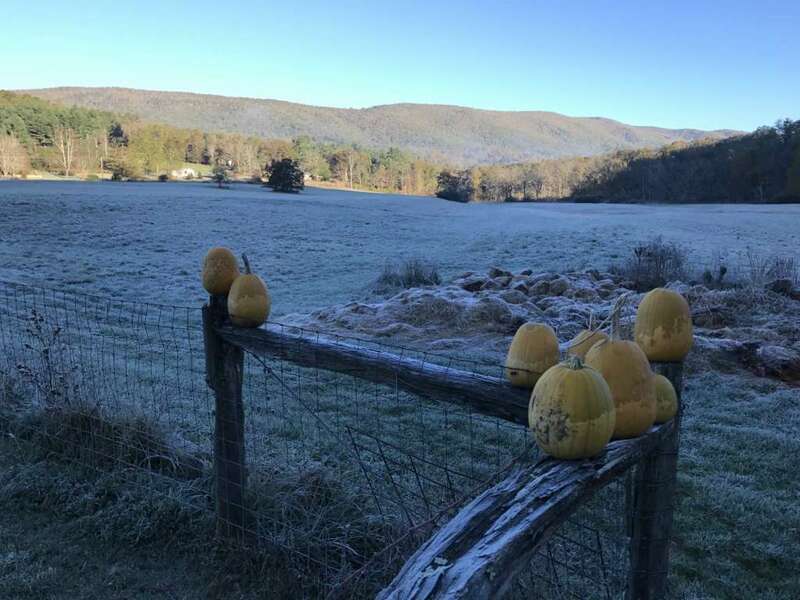 Frost is a funny thing in our mountainous terrain. Gardens on top of Warm Springs Mtn will produce into November while gardens down on the Jackson River Valley had three days of frost in late September this year. 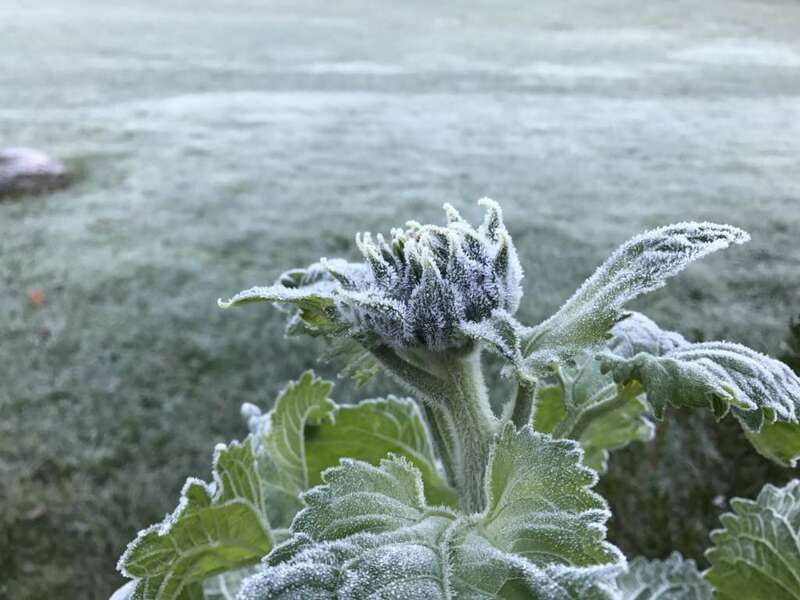 Frost settles to the lowest point. The most productive orchards are on elevated slopes safe from spring frost. This morning on the river bottom the low was 26 degrees. 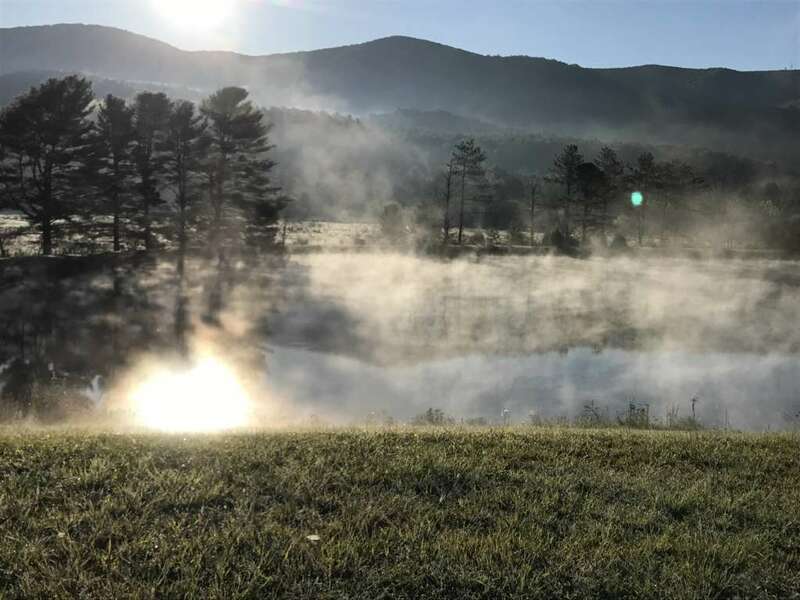 You know it’s cold when a pond directly fed by a large spring with water at 51 degrees steams in the cold morning air. Winter is coming, but we’ll have a slow and beautiful transition through cold morning that warm into the 60s by lunch. Every late blooming plant is racing to finish its assignment, like this late sprouting sunflower. This entry was posted in Uncategorized, Nature. Bookmark the permalink.